Pssst! Have you heard about the “scandal”? All curious ears, listen in. 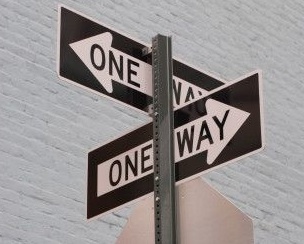 The Scandal of Particularity: Is there really only one way? Yes, it is the greatest “scandal” of all. Theologians have called it the “scandal of particularity”. In a particular time. In a particular place. In a particular person. God spoke. God acted. Who is the scandal about? Simply put. Jesus Christ. There is just no other way around Jesus. This is indeed a scandal to a post-modern culture that resists particular truth claims. It sounds so exclusive. So intolerant. And that doesn’t sound so good. Right? Generally I’m more apt to hang out with grill-in-the-driveway, figure-it-out-yourself, change-your-own-oil, workaday kind of guys than intellectuals. When I was younger and thought I knew what was important, I developed an anti-intellectual prejudice that continues to the present day. But as Tim Keller says, “You cannot be a Christian without using your brain to its uttermost,” so game on. Many of us have a tendency to read Bible passages simplistically, without empathizing or thinking beyond the sacred page. Teachers like Michael Card encourage reading “at the level of our imaginations,” but that takes time and work. OK. I admit it. I hate conflict. John Paine does not like it either, so I am glad I am not alone. Cowboys or the Redskins? Duke or North Carolina? 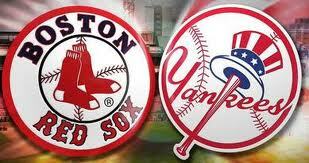 Red Sox or the Yankees? Me? I’ll just watch the ball game, thank you. Some love a feisty contest. But it is one thing to engage in competitive sports talk. Conversing about “God” in a pluralistic culture is a much more serious ball game. Nothing like some good ole’ competition! There is much at stake when it comes to conflicting truth claims regarding religious belief … or “non-religious” belief … let us not forget atheism. The consequences are great. Eternal matters hang in the balance. Heaven and hell. Life and death. The “conflict avoidance” part of me wonders….”What a powerful and attractive idea”…..
Bumper Sticker Theology for a New Age…. To borrow from Rodney King during the 1992 Los Angeles riots, “Can we all get along?” … How does the Christian apologist respond to the challenge of religious pluralism? The apostles Peter and Paul had some famous disagreements. 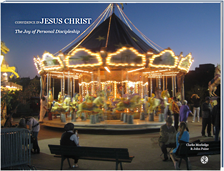 Ultimately however, it was their shared, unswerving love for Christ that propelled their ministries. The first question from the audience at the end of the lecture involved the age of the earth and the six ‘days’ of creation. Dr. Hutchinson’s response was along the lines that the universe is very old (13.7 billion years, again I agree), and that he believes we should not take the creation account in Genesis too literally—that the text is ‘figurative’. And here we have a fork in the road. I think it is somewhat dangerous to give up on the text in Genesis too easily, and to ascribe a figurative intent on the part of the author (Moses) when in fact there may be more to the inspired text than meets the eye. In addition to his work at MIT, Dr. Hutchinson is also a lecturer for the BioLogos Foundation, founded in 2007 by another prominent Christian, Dr. Francis Collins. These brothers and sisters in Christ adhere to the idea of theistic evolution, which—rather than have my take on this topic—you can read about directly from the BioLogos website. There are many wonderful Christians who ascribe to the ideas of theistic evolution. I’m just not one of them. After studying the matter in detail, I have a different understanding. I ascribe to old-earth creationism.